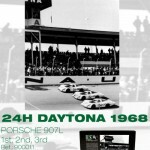 There is a very limited edition release of the Porsche 907 from SRC. This car raced at Sebring and has a restricted production run, so very few cars will be available in the UK. 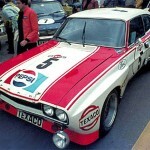 There will also be a new Ford Capri RS2600, the car has the alter style bodywork and raced at Spa in Pepsi colours. SRC have also announced a special presentation Limited Edition set of three cars. Just as they crossed the finish line at Daytona, all three cars will be released in a special box. Please note, this set is only being produced to order so there won’t be any extras for general sale, So get your orders in with your local SRC stockist. Don’t delay!